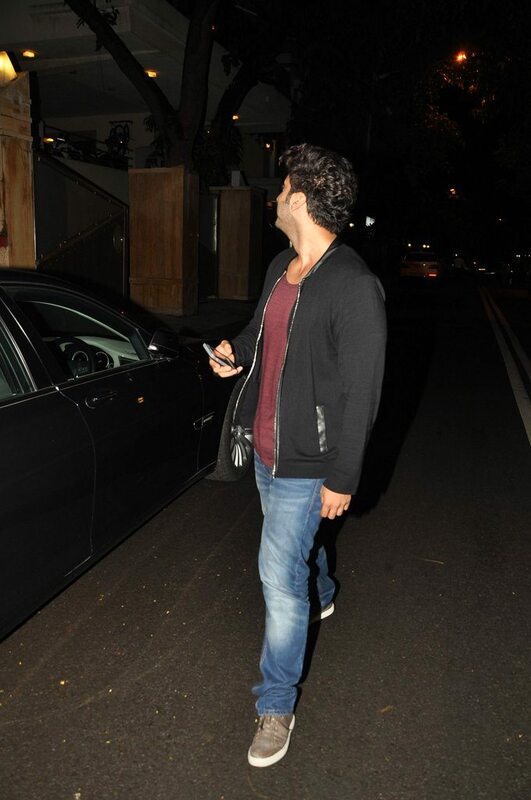 Bollywood actor Arjun Kapoor was snapped having a relaxed stroll in the evening on August 7, 2014. 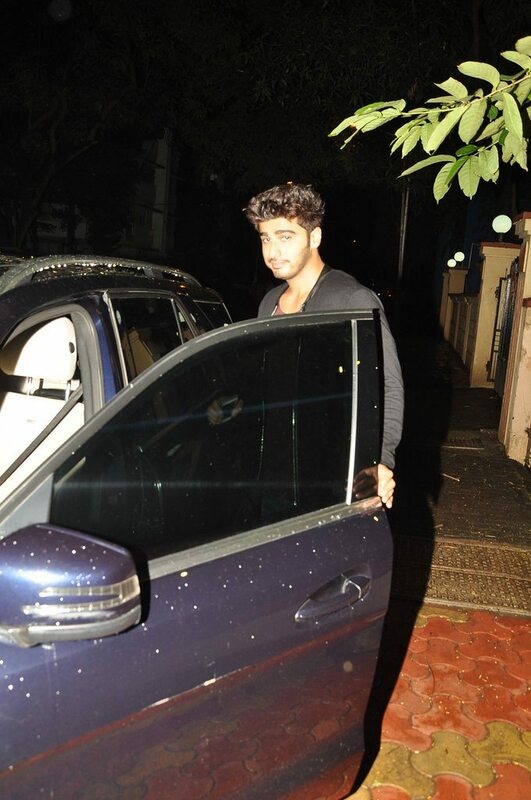 The ‘Ishaqzaade’ actor hopped in to a car and drove out to spend some time with friends. 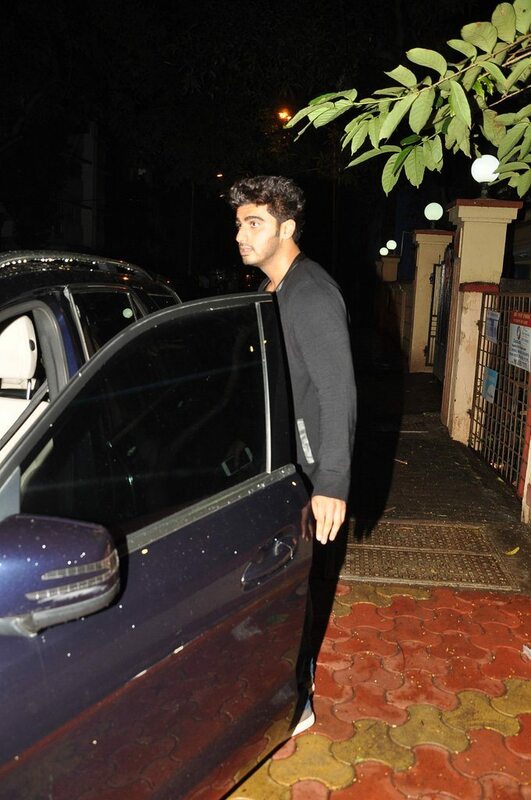 ‘Arjun is currently working in the upcoming movie ‘Tevar’ which stars Sonakshi Sinha. ‘Tevar’ is produced by Boney Kapoor and Sanjay Kapoor and is an action romance flick which is a remake of the Telugu movie ‘Okkadu’ starring Mahesh Babu and Bhoomika Chawla. The movie is all set to hit the theatres on January 9, 2015. 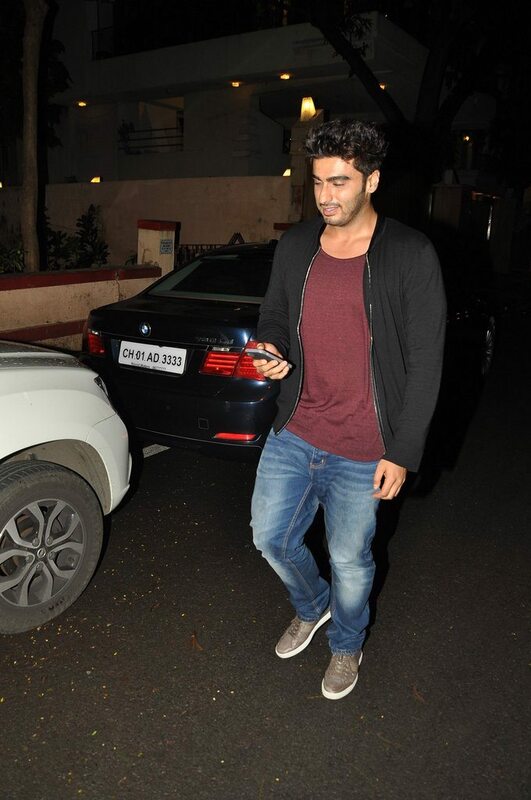 Arjun in the movie will be seen playing a regular college student from Agra and is a kabaddi Champion.